For the last seven years I’ve had an entire jump drive (or flash drive, whichever you call it) full of potential manuscript drafts, notes, research, etc. all for a new series I plan to write “one day.” I’ve been nervous to do so, because with all books I write, I wonder if people will accept them or appreciate them the way I do. Funny how after almost a decade of writing, I still feel those pre-publishing jitters. But that’s okay. Tackling something new IS scary, but it’s also fun. I’ve developed characters, an entire family really, that I absolutely LOVE! I’ve established a town in the middle of County Clare, Ireland, that again, I LOVE. But it’s new. It’s different. It’s a little scary. I’ve flirted around with the ideas for years. I’ve developed the ideas for years. I’ve tested the eyes of a trusted beta reader over the last several weeks and she agreed with me that it is time for this story to come to life in book form. So, my cow picture??? Why was I visiting cows? All in the name of research. :) Because one of my characters is a dairy farmer, and what better way to learn about the dairy business than sitting down with my grandparents who were in the dairy business for 39 years?! And what better way to learn than to walk around the old farm and milk room, reminiscing, laughing, and “researching” amazing information I can incorporate into this upcoming series?! So what started out as a fearful endeavor into something new, turned out to be a walk around something... not so new. I grew up visiting the dairy. It was fun to see it as an adult. And what seemed so daunting before doesn’t seem so big now... or intimidating. Full circles of feelings swamped me as I watched that Jersey cow find my hand for some attention... as I walked the steps I did as a kid in order to learn and listen to a legacy of hard work spilling from my Ninny and Papaw’s lips... to realizing that sometimes my stories aren’t about me and how I’m feeling. That even though I create characters from thin air, their struggles, their lives, their stories, all come from the people I meet or know in my life. That I can utilize an old dairy farm and the experiences of real people and turn them into fun, heartwarming, and even uplifting stories. Well, it's happening! The second book in The Lighthearted Collection is set to release on August 5, 2017! Here's the blurb from the back of the book so you can check it out. Elizabeth and Jackson must learn to work together on more than just construction, and their hearts must face more than just family prejudice. Can years of family rivalry truly be forgiven? Do you like Suspense? Romance? Comedy? The Lighthearted Collection will be releasing it's first book in March. As most of you know, I started writing in 2007, but I did not publish until 2009, and that was my first children's book, The Adventurous Life of Laura Bell. But children's books were not the only genre I was writing at the time. I have been writing adult fiction since 2007 and now have many manuscripts sitting on multiple flash drives just waiting for me to comb through them, make them better, add to them, take away from them... and so that is what I am currently doing. While I continue work on my larger manuscript projects, The Lighthearted Collection will be steadily releasing one book at a time. I hope you guys like them. They are heartwarming and I loved/love writing them. Love it or hate it, social media is how our world operates these days. In some sort of fashion, majority of people are on social media. As you begin to think of your author platform and marketing your book(s), you need to start thinking what form of social media you wish to use. And here's a hint: Don't do ALL of them. There's just too many for one person to keep up with. Now if you have an entire team helping you, then maybe, but if it is just you, and most likely starting out, it is... then choose a few to focus upon. For me, I use Facebook, Twitter, and Instagram. Though I have a presence on Linkedin, I do not actively participate in it. I just update my profile every now and then. Okay, so I have seen this done both ways. 1. You create an author page. 2. You create a page for your book. I personally do number 1. I'll break both of these down for you. - A page dedicated to you as an author and all your books. - Brings your audience to one page instead of multiple. - Allows you to have one destination to market. I like this particular method, because it allows you to build a central reader base where you can post everything and anything. An updated blog post, done. A new release, done. A current promotion, done. A random thought, done. A sneak peek, done. You get the picture. It's a way to interact and engage with your readers and bring all your other platforms and information into one spot. Here's the link to mine: Check it out. You can obviously see that it does not have to be anything super fancy. - Gives each individual work a fan base. - Allows you to give insight into the book. - A page where discounts for a particular work can be displayed. - Helps pull an audience to a particular work. I have seen this done, and I have seen it done effectively. However, I have also seen it done ineffectively. The problem with multiple pages to manage is, if you plan to write more than one book, this can get tedious. And to put it bluntly, you will have a hard enough time managing one page, much less multiple pages. So keep it simple. People can search for you via your name or the book title in this case. If you are great at managing multiple pages, go for it. It is a neat way to showcase your works individually. Here is an example of an author buddy of mine: Lesley Hayes for her book The Drowned Phoenician Sailor. (GREAT read if you have not read it...) You will notice that there are review links posted on here as well, which is a great promotional idea as well. So you head on over to Facebook, click on Create Page, and done. You make an author platform. Now what? 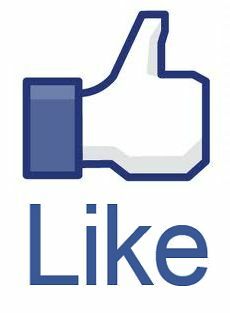 What you want is for people to like your page, obviously, because this links you to their Newsfeed. Anytime you post something, it will show up on their newsfeed. And if someone likes your post, then every now and then that action will show up on their friends' newsfeeds saying, "So&So liked Author Joe's Post." And then it will show a snippet of that particular post, which leads to more people seeing your page. More reach. :) Now you see how this can spread the word about you and your books???? Remember that it will take several times to pinpoint your demographic and target audience. Once you do, each ad should boast some solid results for you. If you have any questions in regards to anything I've mentioned above, feel free to message me. There really are so many opportunities for marketing with Facebook. It is hard to touch upon just one or two aspects. But I hope this at least helped some, or provided you some handy sites to check out. Lately I have been receiving emails with questions regarding the publishing process, but most importantly about marketing. How do Indie Authors successfully market their work? How do we compete with traditionally marketed books? I've tried to supply some helpful hints, but it made me think: How can I share what I've learned about marketing over the last few years? How can I help fellow authors or aspiring writers take on, what seems to be, a marketing mountain, that they feel ill-equipped to climb? So.... here are some of my tips. 1. Social Media is your friend. I know we would all like to bury our heads in the sand when it comes to social media, but the fact of the matter is, in today's world, social media is where it's at. Everything. Your future audience. Your future followers. And your word-of-mouth marketers. Now, is it the only place you will find an audience? No. But it is important. Get plugged in. Whether Facebook, Twitter, Instagram, LinkedIn, Google+, etc. Whichever or whatever. My advice would be to really focus on which ones work for you. I do not bog myself down with twenty different social media accounts. I operate mostly with Facebook and Twitter, because for me, that is where my followers hang out most. Get yourself a website or blog set up. There are lots of free hosts out there. Yep... sit at a booth and meet people. Some people tend to think that writing is the perfect career for introverts... not true. Yes, a lot of writers are and they make it work, but you cannot go into this field without interacting with people. If you're like me and not an introvert, only when I want to be, then talking with people never really bothers you. In fact, I love meeting people, so festivals are something I feel I HAVE to do in order to stay sane. I want to meet potential readers or writers. I want to talk with them. This is FUN! So find out what festivals are near you. They can be Fall Festivals or specifically Book Festivals. An easy Google Search will show you some options. 4. Other writers/ Support Groups. No, I'm not talking about support groups in general, I'm talking a support group consisting of other writers and authors. It can be on Facebook, Twitter, Instagram, or down at your local library, or in the city one town over... whatever works for you. I live in the middle of nowhere, therefore, my writing groups are mostly online based. PLUS, I'm involved with International groups, because I happen to like the diversity it brings. I'm involved with an international group that ranges in experience, a Women's Writers group, and one specifically for my state of Texas. But find groups that you can ACTIVELY participate in and draw help and support from. Don't be shy. Most of these people are either a.) More experienced than you, b.) Less experienced than you, or c.) Just as experienced as you.... so no matter which way you look at it, you benefit from being a part of the group. DO NOT THINK THIS: "If people borrow my book, they aren't buying." -If they like your book, they may purchase it as a gift for their own personal library or for someone else! So don't think of libraries as your enemies. They are extremely HELPFUL. PLUS, an opportunity for a book signing set up is also there. I've done several at libraries, and they are a great way to interact with readers and the community. There are multiple other marketing tips, and as I think of them I will try to pound out some helpful tips and links. For now, I will try to expand upon these and give you helpful links as well as my personal experience with each of these in upcoming posts.